I believe strongly in the growth potential of families and couples. I believe that therapy is not a mystery, but a set of specific strategies applied over time with the help of a skilled, authentic consultant. I believe that we all want to be “met” and understood in life. We just have different venues for connecting and methods for expressing—art and play for children, experienced-based discussions for teens, and practical ideas and insights for adults and couples. Allison’s dedication to her client’s wellbeing stems from a steadfast and longstanding belief in the power of therapy to promote personal growth. 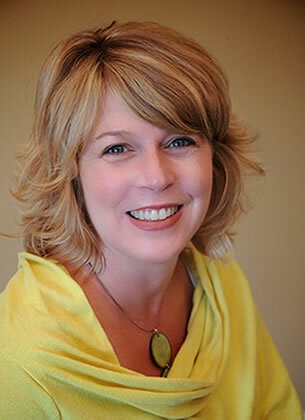 Allison brings more than 20 years of experience treating families, couples and adults. Her experience teaching, supervising, and researching parent–child treatments gives her a deep and abiding respect for the power of these treatments to change lives in profound and lasting ways. Allison leads groups for children and adolescents as well as offering individual, couples, and family therapy. In Allison’s view, therapy helps people manage their lives more joyfully and productively. She believes in a practical and positive approach that clients find warm, helpful, and down to earth. In couples work, clients work through difficult patterns and become more connected through an Emotionally Focused Couples Therapy model (EFT). Her approach to family therapy combines a Family Systems approach and Emotionally Focused Family Therapy (EFFT), so that families can take on and resolve their communication problems and live together with more satisfaction and mutual respect. When counseling children and adolescents individually or in groups, Allison uses a practical, hands-on approach, derived from cognitive behavioral techniques. This approach includes play therapy, which combines art- and activity-based methods to help to work through issues. Children and teens are treated for problems that include anger, attention, depression, anxiety, self-destructive behaviors, grief, and developmental issues. Allison has taught at the Washington School of Psychiatry and Catholic University of America’s School of Social Work, Council for Social Work Education, and Smith College’s School for Social Work. She speaks on topics that include social competence in children’s friendships, therapeutic play techniques for parents, parenting tweens and teenagers, and varied important topics related to family health and well-being. Allison is a Licensed Independent Clinical Social Worker in the District of Columbia. She received a BA in Psychology at the University of Richmond, earned an MSW at Virginia Commonwealth University, and obtained a PhD in Clinical Social Work at Smith College’s School for Social Work.